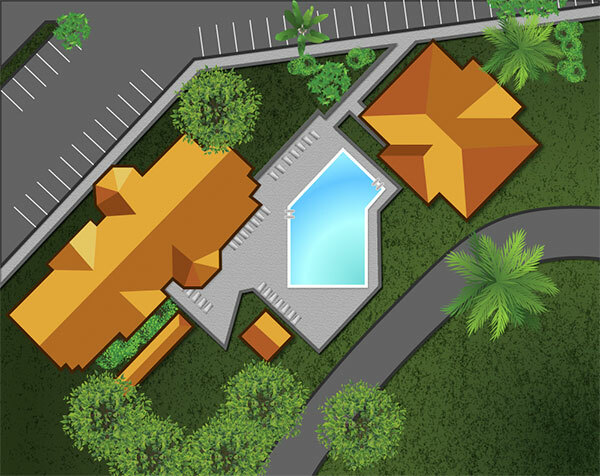 The two clubhouses offer over 20,000 square feet of social and recreational activities. You’ll make new friends and have a great time while you enjoy the tropical indoor heated pool and the outdoor pool. Keep up with the things you love to do, or learn something new in the ceramic shop or woodworking shop. Experience the healthful benefits of the therapy spa and fitness center. Sports-minded residents play shuffleboard, and tennis. Or you may just want to visit and relax at the clubhouse with some of your new neighbors. If that’s not enough, StrawBerry Ridge offers a wide array of social and recreational activities. You’ll find potluck suppers, bingo, billiards, cards, dancing of all kinds, exercise classes, a photography club, a Solo’s Club, and a Choral Group to name a few.